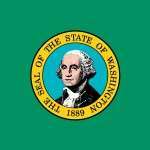 Washington Poker Laws - Is Online Poker Illegal in WA? Outlook: Despite being the US state with the currently most restrictive stance toward online poker, there are reasonably expectations that the political climate in Washington will reverse, and online poker will be legalized for its citizens, perhaps within 5-7 years. The state’s tribal casinos are the key political bloc. Washington online poker players have the worst of it, though a better future for the state’s largely progressive and liberal citizenry may be on the horizon. WA state online poker players remain crippled by a law introduced by Rep. Margarita Prentice and backed by the state’s powerful online casinos, which when signed into law by then-Gov. Christine Gregoire defined the playing of online poker as a Class C felony, punishable per instance by a fine of up to $10,000 and up to five years imprisonment — a punishment on a level with convicted child pornographers. The ridiculous nature of the law itself has been cited by the state’s authorities as a reason they haven’t (to date) cited any online players for violating the statute, though its chilling effect remains: many major online poker sites specifically blocked access to Washington state players after the law went into effect, including the two largest sites then servicing US players, PokerStars and Full Tilt. Gambling information, transmitting or receiving. Whoever knowingly transmits or receives gambling information by telephone, telegraph, radio, semaphore, the internet, a telecommunications transmission system, or similar means, or knowingly installs or maintains equipment for the transmission or receipt of gambling information shall be guilty of a class C felony subject to the penalty set forth in RCW 9A.20.021. However, this section shall not apply to such information transmitted or received or equipment installed or maintained relating to activities authorized by this chapter or to any act or acts in furtherance thereof when conducted in compliance with the provisions of this chapter and in accordance with the rules adopted under this chapter. Despite the bill’s onerous nature, repeated attempts to overturn the law (or at least to eliminate the felony provisions for playing) continue. In 2010, the Poker Players Alliance’s state director for Washington, lawyer Lee Rousso, launched a legal challenge against the 2006 law. Rousso’s effort failed, as did his subsequent effort to run for governor as a single-issue, write-in candidate. A PDF of Rousso’s initial brief can be found here. In 2012, the first legislative effort to repeal portion of the 2006 law was mounted by State Rep. Paul Harris, whose measure would have left the playing of online poker illegal but would have reduced it from a felony to a civil infraction with a $50 maximum fine — in other words, largely not worth pursuing by authorities. The bill was backed by the PPA but failed to gain legislative traction, being abandoned later in the state’s 2012 session. No subsequent bill by Harris or other legislators has been introduced. Instead, the state’s online poker players are throwing support behind a grass-roots voter initiative led by state player Curtis Woodard, whose Washington Online Poker Initiative group is attempting to get two related online-poker referendum questions onto the ballot of the state’s late-2014 general election. Woodard and his fellow players face an uphill battle in garnering the signatures needed to put the matter before voters, though they have initiated online social-network homes for their effort. Woodard’s group has also attempted to convince the state’s tribal casinos to reverse their stance, and instead embrace the possibility of online poker as a future revenue source, which would necessarily eliminate the current legal sanctions against the state’s players.